A gear change has sparked a return to winning form for Naantali in the Listed Anniversary Vase. Nikita Beriman and trainer Ciaron Maher have wound back the clock with a stakes race win at Caulfield. In 2007 Beriman partnered Tears I Cry giving then Warrnambool-based Maher his first Group One victory in the Emirates Stakes at Flemington. The pair have gone separate ways since with Maher taking on a training partner in David Eustace and growing his business with stables at Caulfield, Ballarat and in Sydney at Warwick Farm. “I did ride a lot for Ciaron early doors so it’s good to get a ride for him and win a nice race,” Beriman said. 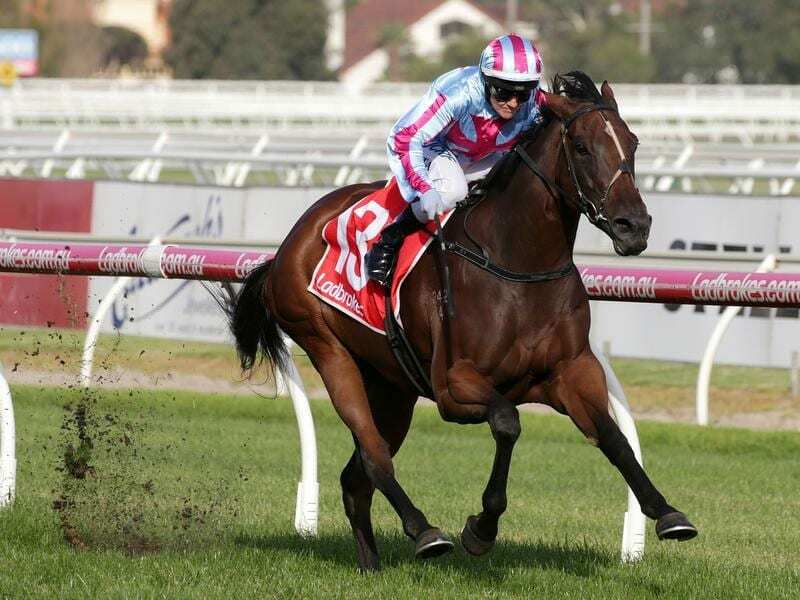 Her victory in Saturday’s Listed Anniversary Vase on Naantali came on top of a treble at Benalla on Friday but was soured with a 15-meeting suspension on a careless riding charge aboard Spirit Of Aquada in the Ladbrokes Handicap. Beriman said Naantali raced more truly wearing a harsher Norton bit for the first time. “She’s ultra consistent but I think the Norton bit going on today made a real difference,” Beriman said. Backed from $10 into $7.50, Naantali scored by 1-3/4 lengths from Manolo Blaniq ($8.50) with Kemono ($18) a half-head away third. With Maher and Eustace at the Doncaster Mile meeting at Randwick, assistant-trainer Holy Watts led in a double at her first meeting in Australia. Maher and Eustace earlier won with Think Bleue in the Polytrack Handicap and Watts said she’s only been in Australia for less than two weeks. A former pupil assistant with Andrew Balding in England for two years, Watts said the opportunity to come to Australia was too good to pass up. Watts is based at Caulfield and said she was still getting to know the systems Maher and Eustace have in place and also the horses. “It’s a huge challenge, but a huge opportunity,” Watts said. “I want to progress and Ciaron and David are brilliant horsemen and so intellectual in the industry and I want to learn as much as I can from them.